GUANGZHOU METON is located in Shawan town, a famous traditional “Ling Nan” cultural town in Guangzhou city, Guangdong province, China. In the past 20 years, our mother company “WEIYE” gained customers’ favor because of our strong industry networks, advanced product development and processing technologies, reliable products quality, and professional sales service. Our business mainly bases in Pearl River Delta area and Guangdong province, covering other markets of Guangxi, Hainan, Jiangxi, Hunan, etc. Our market share of above markets is over 80%. 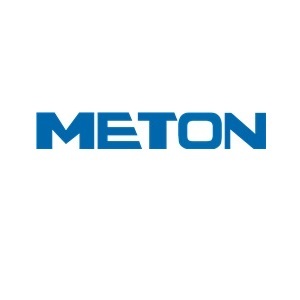 Meton adopts full mechanized processing in manufacturing the products. We have two factories and advanced workshop of over 5000 m2, with more than 20 sets of CNC lathes, milling machines, boring machines, polishing machines, cutting machines, welding machines, etc. At present we have about 110 employees, including 12 senior engineers. We have the R&D ability to develop and update new products, using 3D computer design and cooperating with Huanan University of Science and Technology, in order to meet various requirements of customers. We can provide full customized products and service for different customers. Our company has passed the international quality management system of ISO9000 & 14000, thus provides products meeting national standard and international certification such as CE, etc. We strictly control the quality of whole manufacturing process, from the product R&D, raw material purchasing & inspection, to machining, assembly, delivery, and after-sale service, in order to provide high quality products and professional service to our customers. Along with the high speed development of China economy, the demand of crushed stone has been flourishing for years, especially in the construction of high speed railways, high speed roads, hydraulic projects and electricity projects, where Meton has contributed own energy with reliable products like screen mesh, conveyor rollers, etc., to strengthen the foundation of infrastructure in our country. Because of good quality and high performance price ratio, our products have been exported to many foreign countries and regions including India, Southeast Asia, Middle East, Africa, etc. “Quality first, customer centered” is our principle, customers’ satisfaction and recognition is our goal. METON always provides professional, high quality, and high efficient service to our customers. Welcome to inquire us by phone or online and visit our company and factory for business negotiation.